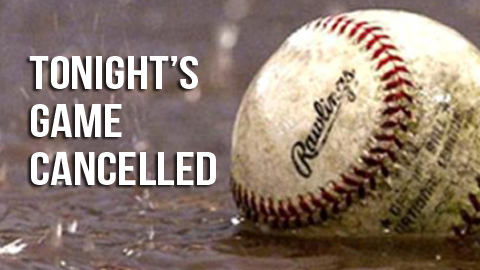 Tonight's Varsity Baseball and Softball games have been cancelled for tonight, Thursday April 18. Baseball and Softball have both been cancelled for tonight, Thursday, April 18th. 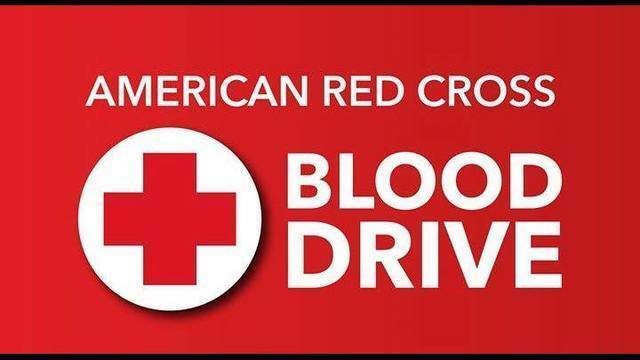 Burr Oak Robotics Team will be hosting a pop can drive starting today and will run through Thursday April 18th. Thanks for your help. SMILE! Kindergarten Graduation Pictures! Tuesday April,16th! Just a reminder. The 5th grade bake sale starts tomorrow, Tuesday April 16th and will run through the 17th. 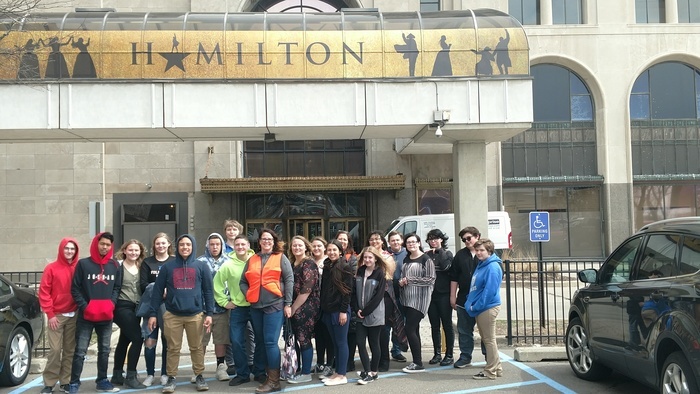 Some of our student had the opportunity to attend the Hamilton performance at the he Fisher Theatre in Detroit. Tomorrow April 9th we will have grades 5,8,10, and 11 all testing. Please make sure your student gets plenty of rest and has a good breakfast. And as a reminder we offer free breakfast to all students. Walk-in parent/teacher conferences are today from 3:30-6:00 p.m. Also, book fair will be open during conferences. Prom Grand March will be at the high school. Prom is this Saturday March 23rd. Prom will start at 7:00 p.m. and end at 11:00 p.m. at Rouche World. Parents and public are invited to the grand march only. The grand march is from 6:00 p.m. it should end around 6:45 p.m.
Book fair this week! Book fair will be open daily from 7:30-8:00 and 3:00-3:30 and during parent teacher conferences. Just a reminder FREE milk distribution will be today from 3:00-4:00 in the school parking lot. GOT MILK? We do! Join us for free milk on Thursday March 14, from 3:00-4:00 p.m. SMILE!!! Tomorrow is spring picture day. Buddy Reading. 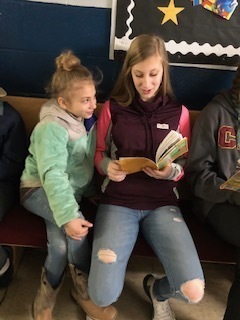 Middle school students come and read with our elementary students in the mornings. 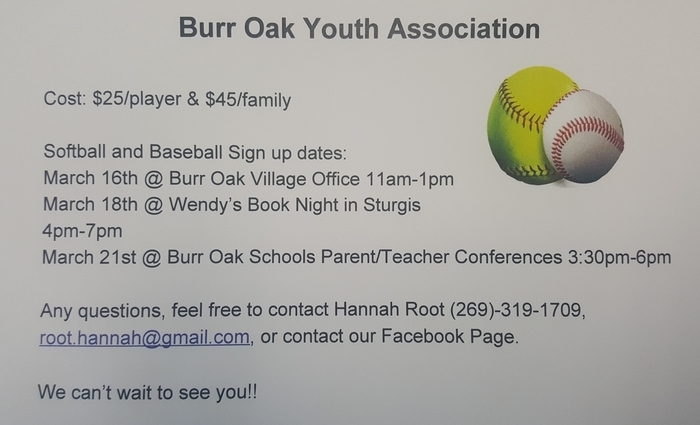 Youth softball and baseball for ages 3-16. 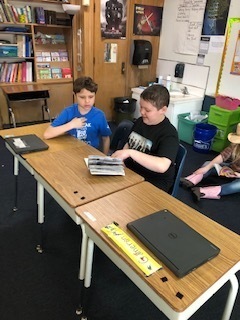 More buddy reading from Tuesday. 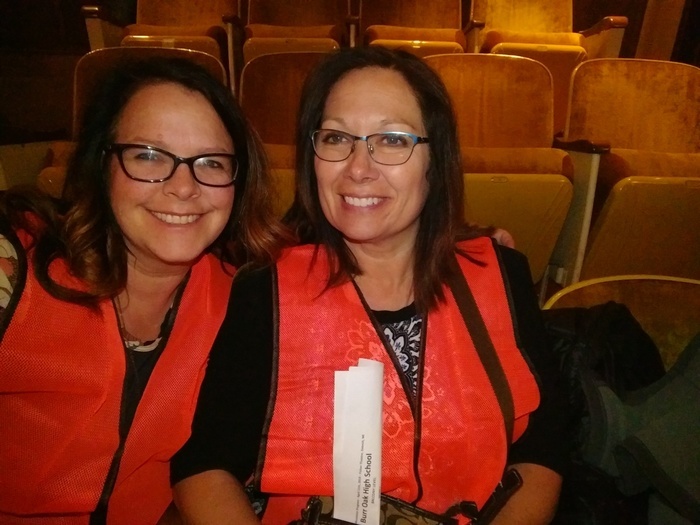 Burr Oak Elementary welcomes Senator LaSata tomorrow, Monday morning! More shots of our Elementary teacher. at the A.R. assembly. 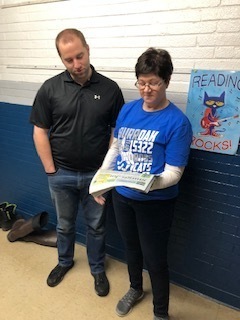 This morning we kicked off March Is Reading Month with a fun A.R. assembly. Reading is our favorite sport is our theme this year. Please Enjoy these candid shots of our teachers getting active this morning. 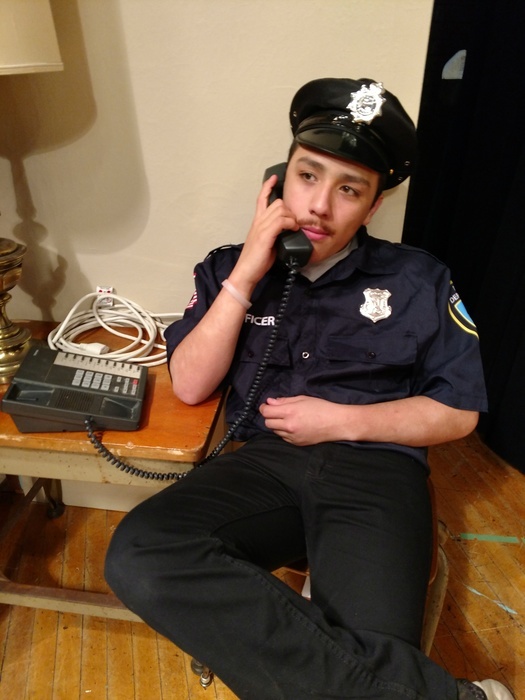 Join us for our spring drama production of Krazy Kamp, on Saturday, March 2 at 7:00 p.m. $5.00 per adult and $3.00 for students. Elementary Publishing Party will be this Thursday February 28th in the cafeteria. The 3rd and 4th graders will begin at 8:30 a.m. and 1st and 2nd graders will begin at 9:30 a.m. Hope you can make it. This is a reminder that Burr Oak Schools will still be observing Mid-Winter Break by not having school tomorrow February 15 and Monday February 18. Bowling match is cancelled for today, they will have practice. Because of the icy conditions Burr Oak Schools are closed today Tuesday, February 12. Join us tomorrow night, for Fun With Numbers Night. 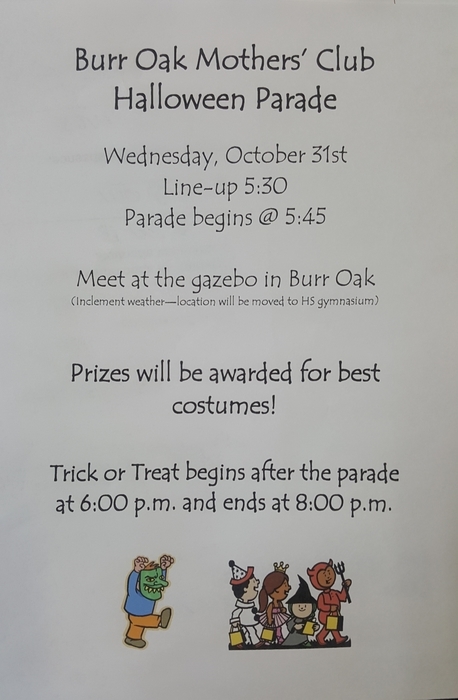 The fun will start at 6:00 p.m. and is for grades kindergarten through 8th. Hope to see you there. Don't forget today is FREE milk day in the school parking lot from 3:00-4:30. GOT MILK? WE DO! Join us for FREE milk distribution on Thursday, February 7, from 3:00-4:00 in the school parking lot. Tomorrow is 100's day! Most of our Elementary classes will be celebrating tomorrow. The rescheduled Varsity Girls Colon game at Colon has been rescheduled for tomorrow, Saturday, February 2nd at 1 p.m. Thanks! Burr Oak Schools will be closed again today Friday February 1. Please stay safe and warm. Don't forget to get your Super Bowl Subs! The senior class and NHS students are selling subs. Cost is $3.50 each. Orders due February 1st, and will be delivered on February 2nd. Please contact a senior or NHS student to place your order. Burr Oak Schools will be cancelled tomorrow Thursday, January 31. Stay in and stay warm. Correction from the previous cancellation message. School is cancelled for Wednesday January 30, no cancellation yet for Thursday January 31. No school for Wednesday only. Because of projected wind chills, Burr Oak Schools will be closed tomorrow, Thursday January 30. Again, no school on Wednesday January 30. Because of extreme weather conditions, Burr Oak Schools will be closed today, Tuesday, January 29. Again no school today. Good morning. Because of expected heavy snow Burr Oak Schools will be closed today, Monday January 28. Again, no school today. Due to hazardous icy conditions Burr Oak Schools will be closed today Wednesday, January 23. Again no school today. Because of icy road conditions, tonight's boys basketball game has been cancelled. Due to expected wind chill Burr Oak Schools will be closed tomorrow. Again, no school tomorrow because of extreme cold. Also no teacher PD. Just a reminder, Monday January 21st will be a half day of school. The students will be released at 11:30 a.m.
Tonight's girls varsity game against Climax has been cancelled and rescheduled for February 26. Also the varsity girls will not have practice tonight. With the current cold snap we have had, we just want to remind you to make sure your child has appropriate cold weather clothing. We will go outside until wind chills are below 10 degrees. 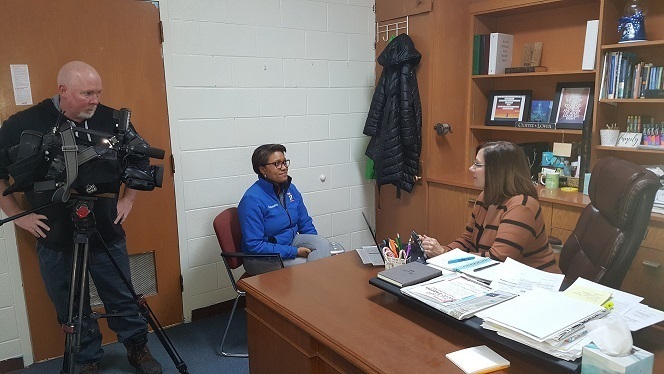 Today our very own Principal Kris Owens was interviewed by Fox 17 News about an article she wrote that was published by Sturgis Journal. Watch for the televised interview soon. Just a reminder Mother / Son fitness night for grades kindergarten through sixth, tonight from 6:00-7:00 pm in the high school gym. Hope to see you there. Mother Son Fitness Night will be tomorrow, Wednesday January 9th in the gym. Today is the free milk distribution from 3-4 in the school parking lot! Tonight is the Elementary Christmas Program at 7:00 Students need to report to their classrooms at 6:45. GOT MILK? We do! Come get your FREE milk Thursday December 20th from 3-4 p.m. at Burr Oak Schools. 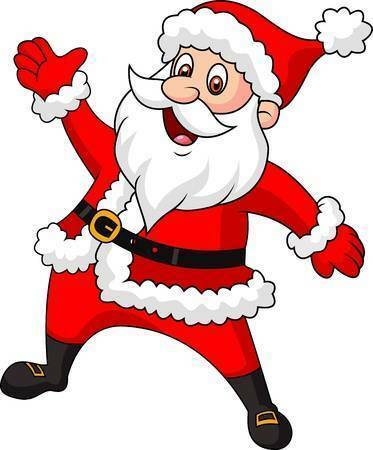 Santa Claus is coming to town, He will be at the fire station on Saturday December 15th at Noon! Just a reminder: If your child plans on attending the memorial for Issac Brooks, please send a note with them or call the school to excuse them. Thank you. Segment II drivers training begins on December 20, from 6:30-8:30. Please have your student stop by Rita's office for the informational packet to get registered. 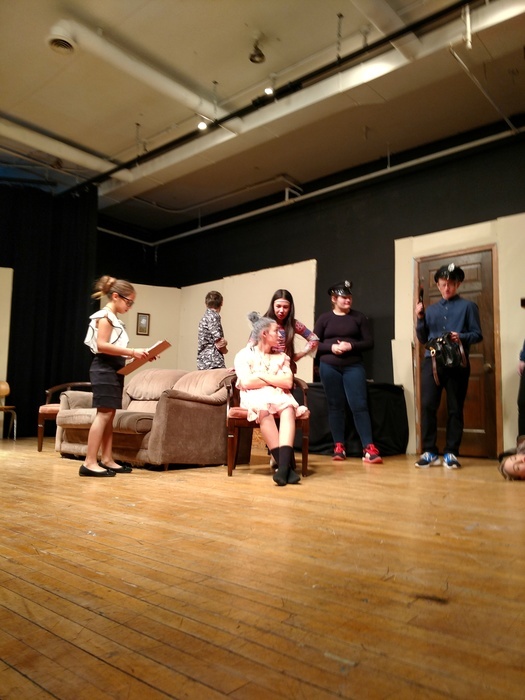 A few pictures from our fall play, We'll Be Right Back After This Murder. Thank you to all who supported the kids. They did a great job. Good morning! Just a reminder, today Burr Oak Community Schools Living Skills Class will host their annual Thanksgiving feast from 11:00 a.m. - 1:00 p.m. A $3.00 donation is appreciated, but not necessary. Hope to see you there. The Father/Daughter dance will be this Friday, November 16, at 6:00 pm in the Burr Oak Cafeteria. This will be for girls Kindergarten through 6th grade. Light refreshments will be served. There is NO charge to attend this event. Hope to see you there! 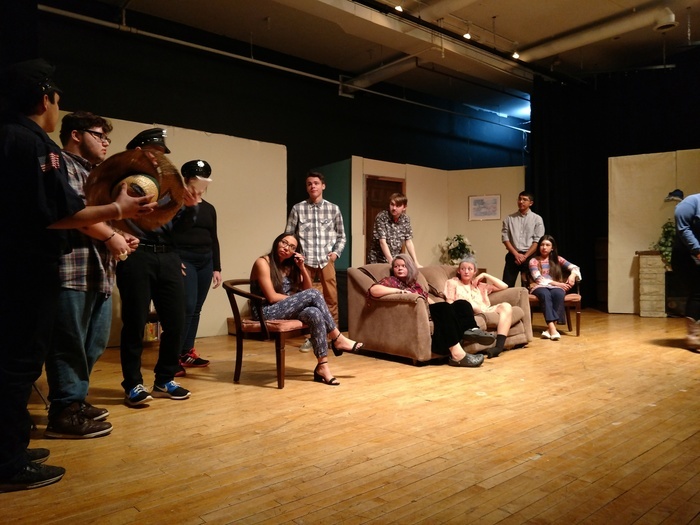 The High School Drama Class will be performing their fall play on Saturday, November 17th at 7:00 pm. 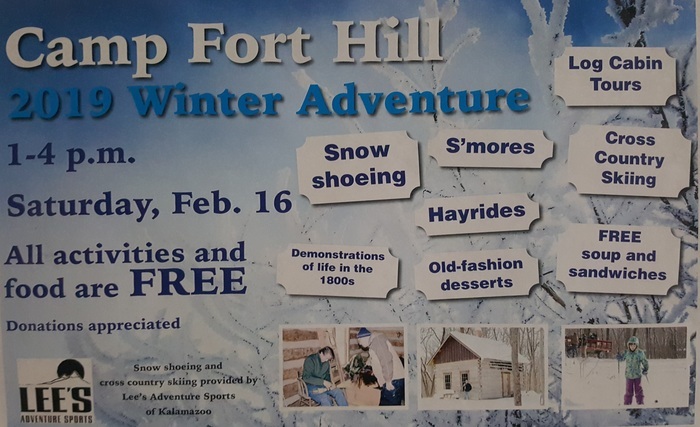 Admission will be $5 for adults and $3.00 for children. Hope to see you there! FREE Fresh Food Initiative & Milk Distribution, Thursday, November 8 From 3:30-5:30. Rain Or Shine Bring A Box Or Bags To Put Your Food In. The weather is so unpredictable in Michigan. Please make sure you dress your child so they can be comfortable when they go outside for recess. Just a reminder book fair will be open during conferences this week. The Book Fair will be open October 22-26 in the morning from 7:30-8:00 and after school from 3:00-3:30. Just a reminder we still have FREE smoke detectors available at the elementary office or get one by contacting the Burr Oak Fire Department. Unfortunately, the fresh food truck will not be on site this evening. We are unsure what the issue is at this time but have been told we can schedule another one soon. Sorry for the confusion. The weather is changing. Make sure you dress your child in layers so that they can be comfortable when they go outside and when they are in the classroom. Also encourage your middle school and high school students to dress for the weather as well. Tomorrow is walk to school with Mr. Stephens day. Buses will drop students off at the gazebo around 7:15. Parents are welcome to join on foot or bike. When students arrive at school, the day will continue as usual. SMILE!!!! Tuesday October 9th(tomorrow) is picture day! This is a reminder that Burr Oak Schools will be dismissing at 11:30 Monday as it is a scheduled half day of school. Reminder. Because of the holiday, Burr Oak Schools will be closed on Friday, August 31 and Monday September 3. See you on Tuesday. Please be patient as we implement our all school lunch program. We are working to get the correct numbers each morning. The spring sports banquet for Baseball, Track and Golf will be Monday June 11 @ 5:30 in the Courtyard. Bobcats Softball plays in regional tournament on Saturday morning at 10:00 against Whiteford in Hudson. Decision Day, Grad Practice, Senior Breakfast...Time Flies! Congratulations to Michaela Ultz for passing all of the tests associated with becoming a bus driver! 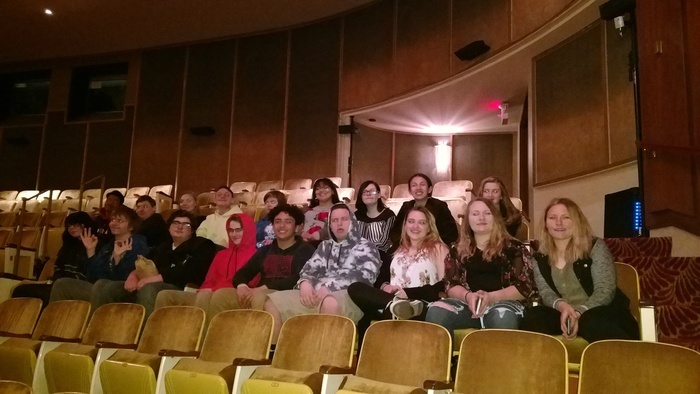 Attention MS & HS students, if you are interested in performing in the talent show on May 15, your registration forms must be signed by your parents/guardians and turned into Mrs. Rita by Monday. If we do not have enough students signed up to perform, we will have to cancel the event. Show us your talent! It’s STEM night! Come see all the great projects our students have been working on. 6pm to 7pm. All grades. Reminder: The school day ends at 3:07 - parents who pick up, please help us keep security protocol in place by not entering the building until the bell. Congratulations to Burr Oak robotics on making it to state! New Safety Protocol: Monday, 3/19/2018, all school doors will be kept locked until 3:07 p.m. We are requesting parents to wait outside the building until students are released from their classes. https://www.thebluealliance.com/event/2018misjo#rankings Follow the robotics team using this link. Boys District Basketball tomorrow night March 7 vs Climax. Play is at 7 pm in Martin. Friday night's boys basketball game has been postponed until Saturday at 2:00. Burr Oak Schools will have a delay start on Friday February 23 for Staff Development time. School will begin an hour later at 9:05 am. Tonight's varsity girls basketball game at Waldron has been cancelled. Because of the dense fog school is now cancelled. Enjoy your day. Due to foggy conditions, school is delayed 2 hours today. Tonight's boys basketball game at Colon has been rescheduled for Monday Feb 19. Tonight's girls basketball game at Colon has been rescheduled for Friday, Feb 16 @ 4:30. Due to predicted adverse weather conditions, school will be closed tomorrow. The bowling meet today in Sturgis is cancelled. Due to the weather Burr Oak Schools will be closed today. Because of Bellevue's school being cancelled there will be NO girls basketball game tonight. Tonight's Boys Basketball game at Colon as well as last night's Girls game has been rescheduled for next Friday February 9. The girls will begin at 4:30, followed by JV and Varsity Boys. Varsity girls against Waldron tonight. See you there at 6:30! Hello to our new app users! From all of us here at Burr Oak, Merry Christmas, and Happy Holidays! 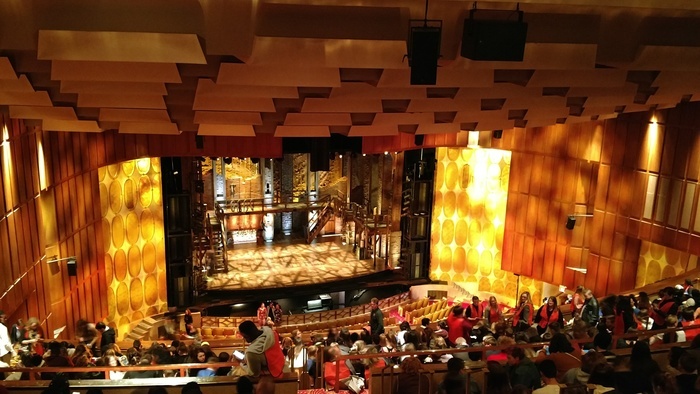 Stay tuned here, to our Live Feed for regular updates - and be sure to check out our new App! Copyright © Burr-Oak Community Schools 2017. All rights reserved.